Here's another quick, easy and super cute project for baby. 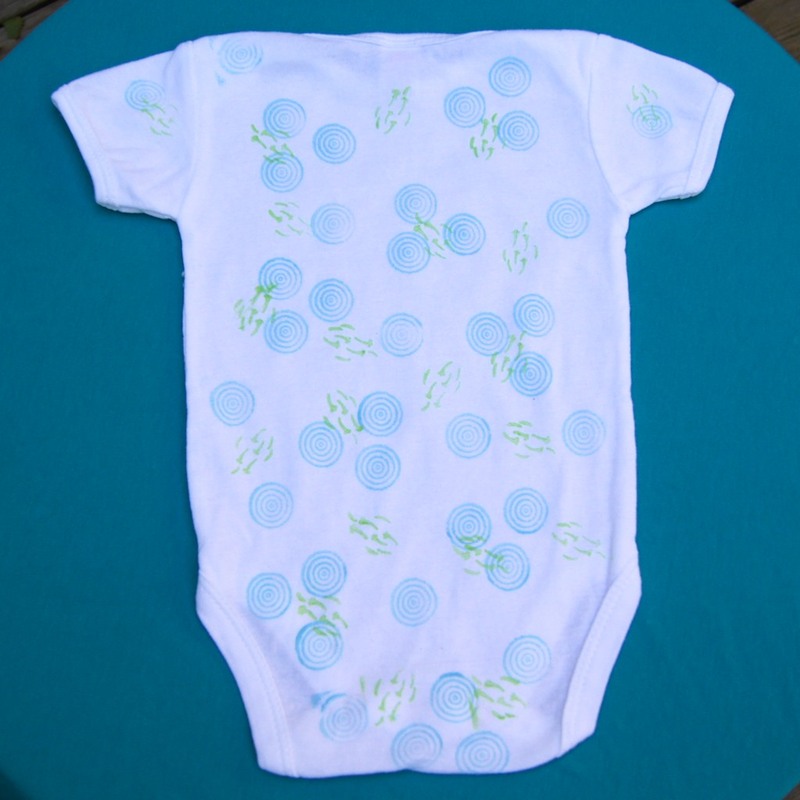 Create your own patterned onesies using rubber stamps. A great way to create a one of a kind gift item! 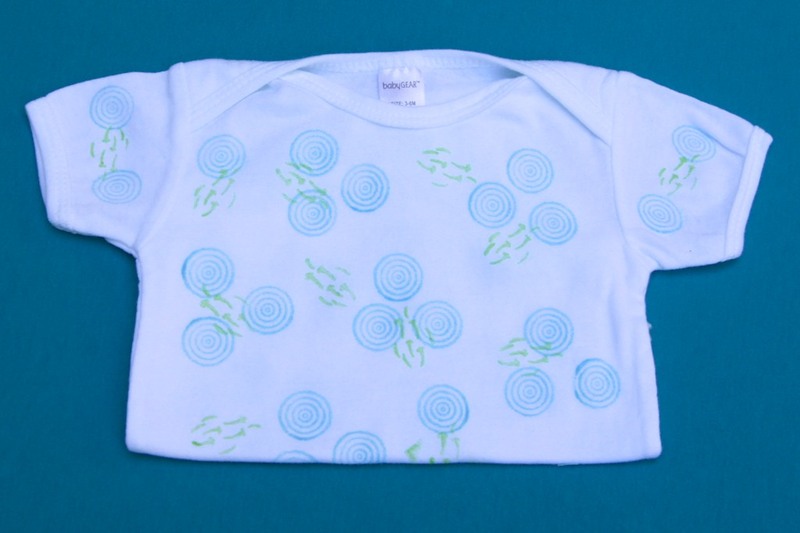 For this project you will need a plain onesie or shirt, rubber stamps, ink pads suitable for stamping on fabric, an iron. It may also be helpful to have a piece of cardboard to place inside the onesie so that you have something firm to press against. I used a plain white onesie, stamps from our Kodomo No Kao Springtime Stamp Set, and VersaCraft ink in 2 colours. 1. Wash and dry onesie to remove sizing. 2. Practice stamping your desired pattern on a test piece of fabric. Ensure you understand the amount of ink and pressure needed to get your desired results. I found that for each stamp impression, I had to reink the stamp. When you are satisfied with your test run, begin stamping. 3. If using, place cardboard inside the onesie. Choose a firm workspace like a counter or tabletop. This is not a good project to do on top of your ironing board! 4. 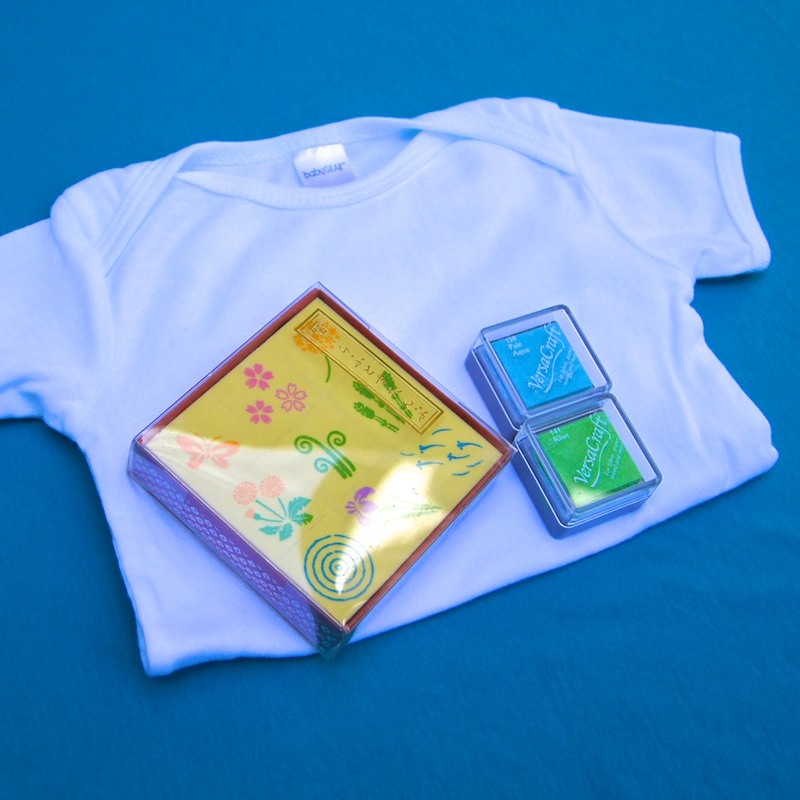 On one side of onesie, simply stamp with your first colour / stamp until desired pattern is achieved. Allow to dry between each additional colour. I used the ripple and tadpole stamps from our Springtime Stamp Collection stamped in aqua and lime green for a sweet unisex design. 5. Allow the first side of your onesie to dry, then flip over and repeat stamping on second side. 6. When ink has completely dried, heat set with a hot dry iron. Iron each section of the printed fabric for about 2 minutes. For better results, turn the onesie inside out and iron on the inside too. Use a press cloth if desired. This is an essential step to stop the ink from fading. It is also recommended that you allow the ink to "set" for a week or two prior to washing. This technique could be applied to all sorts of garments for baby, and there's no need to feel limited to an all over pattern - a simple design on the front of a onesie or t-shirt would be cute too! Check out all of the fabulous Kodomo No Kao rubber stamps in Omiyage's Crafty section.